The Internet Rules, But How? 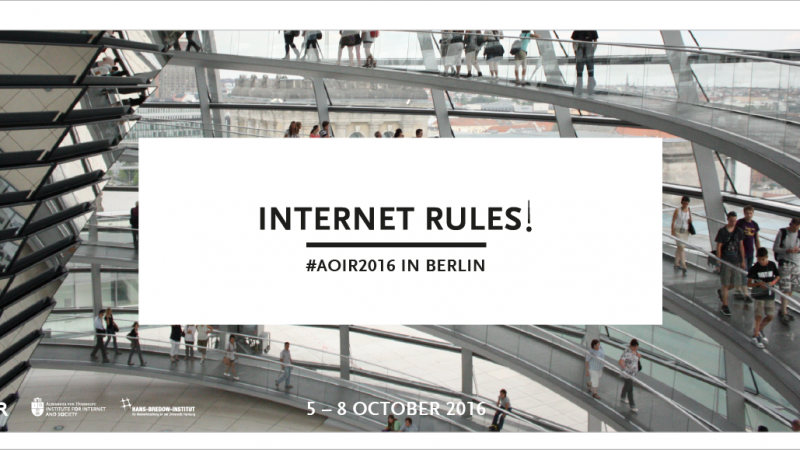 Der pre-conference Workshop ist Teil der AoIR conference und findet in englischer Sprache statt. Traditionally, researchers and practitioners in Internet governance (IG) focused on new institutions established to discuss and negotiate the technical coordination of the Internet or related policies. Recently, authors have criticized this institutional focus, and perspectives from Science and Technology Studies (STS) suggest to rethink and substantiate questions of ordering and governing the net. In this view, the ‘doing’ of IG more broadly consists in practices and controversies of the design, regulation, and use of material infrastructures, as well as digital uses and practices. This preconference workshop seeks to nurture the growing interest in researching and observing IG from STS-informed perspectives. More broadly, the workshop aims to facilitate a discussion and an exchange of perspectives about the intertwined roles of design, infrastructures, and informal communities of practice in IG. This workshop is part of a broader effort of advancing an STS-informed conversation on Internet governance: it builds on the panel on STS perspectives on IG that took place during AoIR 2015 in Phoenix and a forthcoming special issue of the Internet Policy Review (to be published in early September 2016). The workshop is supported by the Global Internet Governance Academic Network (GigaNet), the Internet Policy Review of the Alexander von Humboldt Institute for Internet and Society (HIIG, Berlin), the WZB Berlin Social Science Center, the Department of Communication, University of Illinois at Chicago, and the Institute for Communication Sciences (CNRS/Paris-Sorbonne/UPMC, Paris). Nur als TeilnehmerIn der AoIR Konferenz ist eine Teilnahme am pre-conference Workshop möglich. Bei der Registrierung für die Konferenz ist eine Anmeldung für diesen Workshop möglich.